Daniel Ricciardo rescued a torrid weekend for Red Bull Racing by finishing sixth in the Australian Grand Prix on Sunday. 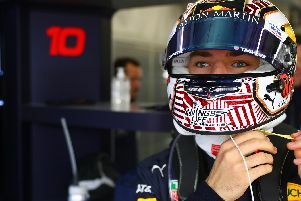 A lacklustre opening round for the team from Tilbrook was compounded by Daniil Kvyat’s RB11 forced into retirement before the race even began as his gearbox failed on the way to the grid. Kvyat was one of three others who failed to make the starting grid as Williams’ Valtteri Bottas and McLaren’s Kevin Magnussen also missed out through injury and engine failure respectively. For the home crowd favourite Ricciardo, his race was initially held up by an accident between Ferrari’s Kimi Raikkonen, Sauber’s Felipe Nasr and Lotus driver Pastor Maldonado, which brought out the safety car. Ricciardo, unable to pass Nasr, was leapfrogged by Raikkonen at the Finn’s first pit-stop, and became very familiar with the rear wing of the Sauber as he followed the Brazilian debutant home, unable to mount a serious challenge for position. After the race, Ricciardo admitted that while he wasn’t under much pressure, the drivability of the new RB11 was the biggest concern with a long season ahead. “I didn’t have much pressure behind me so it wasn’t too hard, but it wasn’t easy to drive,” he said. “I was fighting to get past the Sauber, but we didn’t have the legs. “Each lap the car fluctuated a bit, and it’s hard to put my finger on it. I feel for Dani, but we’ll learn from it, taking the positives from the 58 laps we completed and move on.